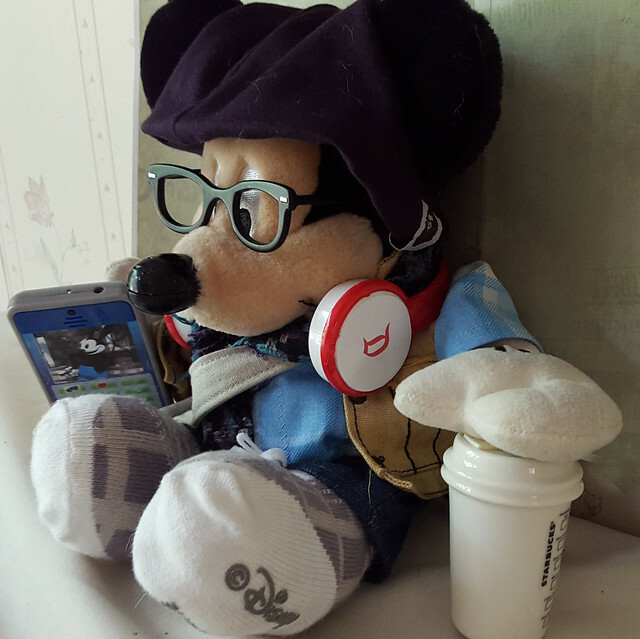 If you know me, you know I still adore my Pal Mickey, the plush interactive tour guide that Walt Disney World created years ago. 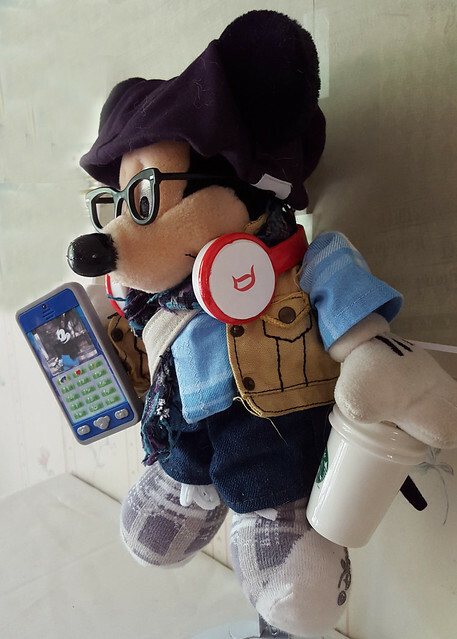 Last year at some time -- maybe the summer -- I decided to try and make the hipster outfit for my Pal Mickey. It took a lot of looking! A lot of dying and making things work right. But now, FINALLY I have his outfit complete. Here it is!